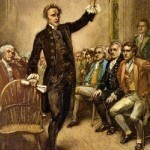 Today, many Americans imagine Patrick Henry (1736-1799) as the bold and thunderous voice of their revolution. 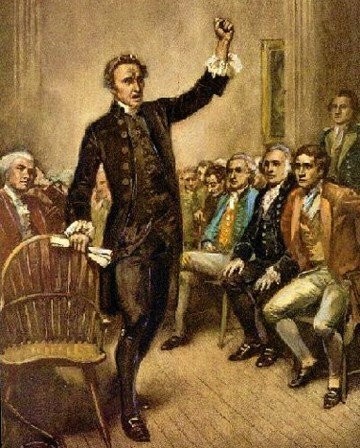 Schoolchildren learn of Patrick Henry’s eloquence and heroism, standing before the Virginian colonial assembly and bellowing defiant oaths against Britain and its king. Nationalist art depicts Henry in full voice, his audience enraptured, his body language assertive and commanding. In folklore, Henry is the man who spoke for America’s revolutionaries before they had learned to speak for themselves. But as is often the case in history, there are two Patrick Henrys: one real and one constructed. Historians and history students have long struggled to reconcile the two. 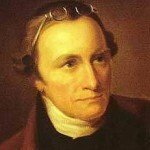 The story of Patrick Henry shows us that history is not always as it seems. 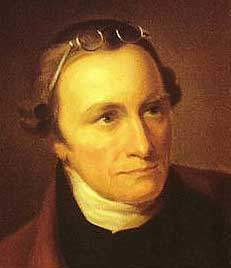 Patrick Henry was born into a moderately affluent family, not far from Richmond, Virginia. Like many revolutionaries, Henry tried a number of unsuccessful ventures before turning his hand to law. He left school at 15 so had only a limited education. In 1760 Henry, then in his early 20s, bought a box of legal texts and set about studying law. After six weeks of self-study, he considered himself informed enough to start practising as a lawyer. A Hanover County judge issued Henry with a license and by the end of 1760, he was taking his first clients. As a lawyer, Henry first came to public attention in 1763 through his involvement in the ‘Parson’s Cause’ case. Like many Anglo-American disputes of the time, this case was about money and whether the British parliament had authority to overrule colonial assemblies on monetary issues. Unlike some of Henry’s later speeches, his remarks during this case are reliably recorded. They contained some hot-headed comments about Virginia’s Anglican clergy, the British parliament and the king. Henry’s passion and his advocacy for local issues was noted by those present, and those who wrote about the case. His fellow lawyers were less impressed by his grandstanding and his unwillingness to follow the usual legal procedures. In 1765 Henry was elected to fill a vacancy in the House of Burgesses, the Virginian colonial assembly. The Burgesses were in the midst of debating the Stamp Act, which had been thrust upon the colonies by London. After barely a week in the assembly, Henry introduced the Stamp Act Resolves into the floor of the House. It was a move of breathtaking impertinence. Henry had been an assembly for scarcely a week, and his first motion was a set of resolutions that directly confronted and challenged royal authority. Not only that, he had cunningly waited until the assembly’s more conservative members were absent on personal business. It is at this point that the mythical Patrick Henry begins to separate from the man himself. The first allegedly verbatim report of Henry’s words came from his biographer, William Wirt, writing some 70 years later. According to Wirt, Henry had porteniously likened George III to murdered kings Julius Caesar and Charles I. In response to shouts of “Treason!”, Henry then uttered the phrase, now immortalised: “If this be treason, make the most of it!” Wirt’s account is grossly exaggerated, if not entirely fictitious. It was noted by many present that day that Henry spoke with an intemperate tone that bordered on sedition and treason. But nobody present, including Henry himself, recorded exactly what was said. Henry was visibly stunned by the hostile response from his fellow assemblymen. After speaking, he stood apologetically, begged the House’s pardon and affirmed his loyalty to Britain and the king. This apology was not mentioned by Wirt and is often omitted from tales of Henry’s speech. There is no doubt that Henry was sharply critical of Britain and its government and in favour of independence. This fact is borne out by more credible historical sources. What is uncertain is exactly what he said and how much impact it had. The student of American history must weigh up these issues. A good deal of what we know – or think we know – about the American Revolution comes from a 19th-century literary construct. Writing about the revolution was big business in the early 1800s, a time when Americans craved identity, nationalism and inspiration. But the writers of the early 19th century – men like William Wirt and George Washington’s biographer, Parson Weems – were more novelists and biographers than historians. They wrote to glorify the revolution and its heroes, not scrutinise them. They felt only a passing obligation to truth, balance and standards of evidence. Our understanding of leading American revolutionaries, who they were, what they did and what impact they had has been coloured by these writers. The challenge for both the historian and the history student is to separate fact from fiction.